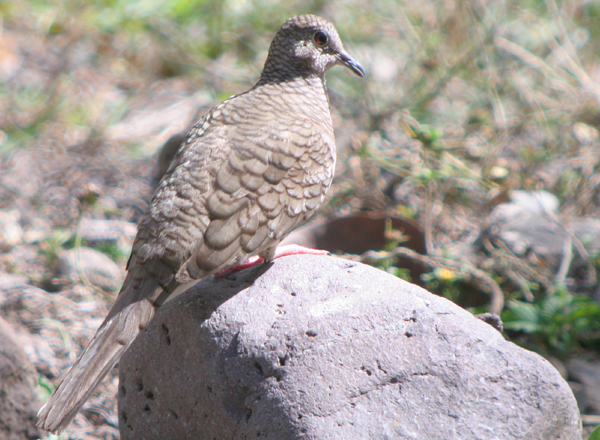 Before arriving in the town of Copan Ruinas, Honduras, on February 27, 2009, I had only ever heard Inca Doves. Their melancholy “no hope, no hope” had reached my ears previously only in the town of Brawley at the south end of the Salton Sea in southern California. So when I realized that the pasture down the street from our hotel at the edge of town held both Ruddy Ground-Doves and Inca Doves, well, you know what I did…I grabbed my digiscoping rig and got to it! Inca Doves, which were common all around Copan, are easy to identify by the scaly pattern caused by the dark edges of their feathers. 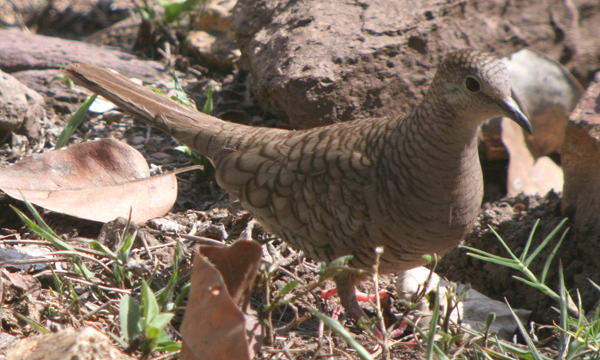 Like the ground-doves, they have bright rufous primaries, but unlike the ground doves they have long, white-sided tails. 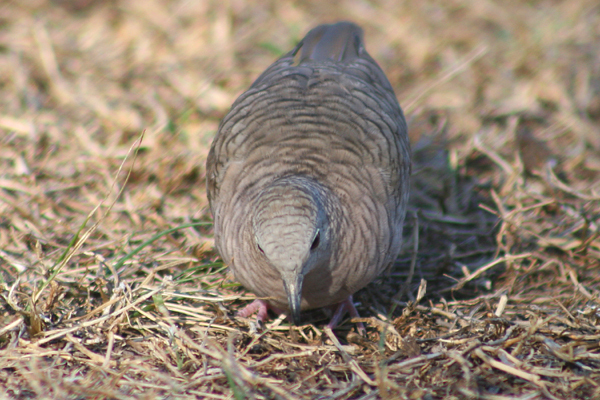 Juveniles might be confused with other species, as they lack the scaled appearance, but they also lack the dark spots on their sides that one immediately notices when looking at the ground-doves. This post has been submitted to Bird Photography Weekly #32. Go check it out! This post was first published on 4 April 2009 but doves like this are too cool to keep hidden in the archives! Great shots of the Incas, Corey! I see mentions of Inca Doves from time to time in places around Houston (we’re pretty close to the top of their range), but as yet I’ve never been able to find any. I love that scaled look on their backs and wings. Great that you were able to see both them and the ground-doves! Nice captures from all angles of the Inca Doves Corey! Like Kyle, I love the scaled pattern of the feathers and the red eyes really set them off. 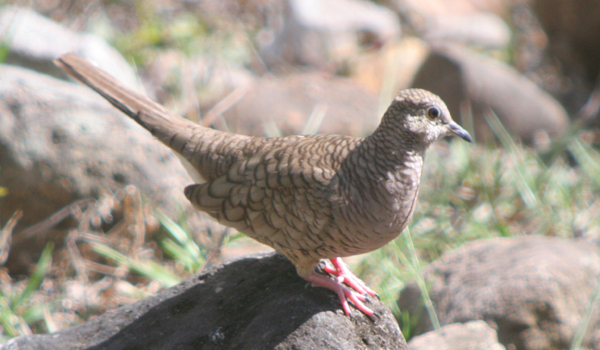 I agree that inca doves are very beautiful birds too. living in central texas, i see them occasionally, although at perdenales falls state park they were very numerous, along with the occasional crtitcally endangered golden-cheeked warbler. Unfortunatly my images were blurry, unlike these, so i have no record of either. I’ve had a family of them living in my back yard all winter (I live in Dallas), but I haven’t seen them in the last two weeks. One winter day I got a shot of white-winged doves, mourning doves and inca doves all in the same frame. My goodness, this blog is. I loved the pictures, we don`t find blogs like that on internet that often. Recently I found another awesome one called Earth Blog 2020, it worth to check this one out. Did You Sign the Petition for the Wildlife Conservation Stamp Yet?